Dr. Hon has been with Microsoft since 1995. 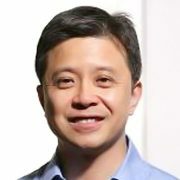 He joined Microsoft Research Asia in 2004 as deputy managing director, stepping into the role of managing director in 2007. He founded and managed Microsoft Search Technology Center from 2005 to 2007 and led development of Microsoft’s search products (Bing) in Asia-Pacific. In 2014, Dr. Hon was appointed as chairman of Microsoft Asia-Pacific R&D Group. Prior to joining Microsoft Research Asia, Dr. Hon was the founding member and architect of the Natural Interactive Services Division at Microsoft Corporation. Besides overseeing architectural and technical aspects of the award-winning Microsoft Speech Server product, Natural User Interface Platform and Microsoft Assistance Platform, he was also responsible for managing and delivering statistical learning technologies and advanced search. Dr. Hon joined Microsoft Research as a senior researcher in 1995 and has been a key contributor to Microsoft’s SAPI and speech engine technologies. He previously worked at Apple, where he led research and development for Apple’s Chinese Dictation Kit. An IEEE Fellow and a distinguished scientist of Microsoft, Dr. Hon is an internationally recognized expert in speech technology. Dr. Hon has published more than 100 technical papers in international journals and at conferences. He co-authored a book, Spoken Language Processing, which is a graduate-level textbook and reference book in the area of speech technology used in universities around the world. Dr. Hon holds three dozen patents in several technical areas. Dr. Hon received a PhD in Computer Science from Carnegie Mellon University and a B.S. in Electrical Engineering from National Taiwan University. J Cohen, M Etoh, HW Hon, J Luo, J. Schalkwyk. Mobile Multimedia Search, in IEEE International Conference on Acoustics, Speech and Signal Processing, April 19-24, 2009.